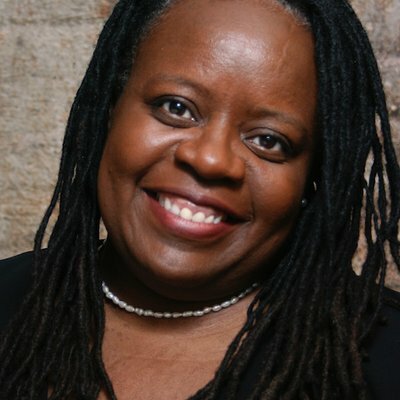 Yvonne Welbon is a Chicago based award-winning independent filmmaker and freelance producer. Since 1991, she has made eight films and produced a dozen others. Her independent films have screened on PBS, Starz/Encore, TV-ONE, IFC, Bravo, the Sundance Channel and in over one hundred film festivals around the world. Yvonne Welbon received an undergraduate degree in History from Vassar College. Thereafter, she spent six years in Taipei, Taiwan, where she taught English, learned Mandarin Chinese, and founded and published a premiere arts magazine. She returned to the United States and completed a Master of Fine Arts from the School of the Art Institute of Chicago and a Ph.D. from Northwestern University. She is also a graduate of the American Film Institute’s Directing Workshop for Women. Living With Pride: Ruth Ellis @ 100 has won ten best documentary awards — including the GLAAD Media Award for Outstanding Documentary. Her ongoing Sundance Documentary Fellow project is Sisters in Cinema, a documentary, website and forth-coming book based on her doctoral dissertation about the history of African American women feature film directors. Her freelance producer projects include: John Pierson’s Split Screen, Zeinabu irene Davis’ Sundance dramatic competition feature Compensation, Cheryl Dunye’s HBO film Stranger Inside, Thomas Allen Harris’ Berlin Int’l Film Festival award-winning documentary É Minha Cara/That’s My Face, and Catherine Crouch’s directorial debut Stray Dogs, starring Guinevere Turner.